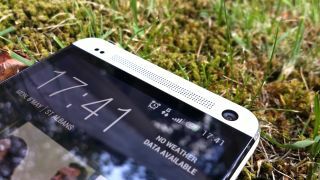 HTC One owners may be concerned by the lack of word on Android 4.2 coming to the phone, but HTC has confirmed that an update is on its way – so hold tight. While HTC hasn't given the Android 4.2.2 Jelly Bean upgrade a specific release date, it told Engadget that it's still very much on its way. The update was thought to be coming in mid-June, though HTC has been rather quiet on the matter, and without 4.2 making an appearance it's left a lot of users scratching their heads. Three UK tweeted at one such user, telling them that HTC had "pulled the 4.2.2 release" but said it didn't have any idea as to what the schedule might be going forward. We assume that the update just needed a bit of last minute tweaking, and could even have had something to do with Three's network. Who knows? We contacted HTC to ask if there was further clarification on the matter, and will update as soon as we hear more.